This is an excellent plan of the City and Port of Newcastle (Australia) in 1887 and published by R.C.Knagg’s & Co., Nautical Stationers and Chart-sellers, Newcastle, N.S.W. 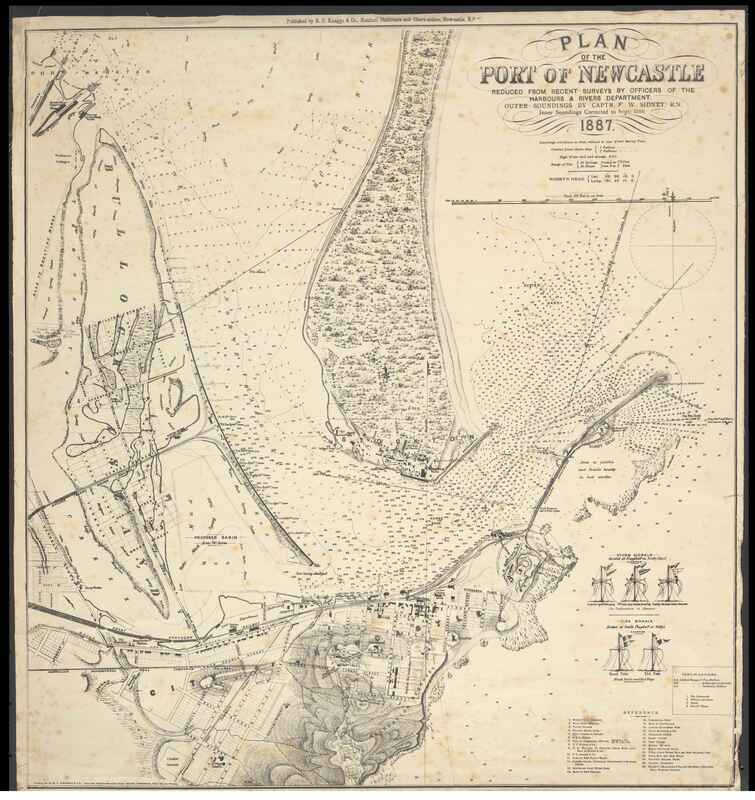 It shows the soundings of the harbour, the various harbour and earth works underway, details of the vegetation and landscape of Newcastle. Wonderful map! You might be interested to know that the State Library of New South Wales has 1878 (http://library.sl.nsw.gov.au/record=b2177014) and 1883 (http://library.sl.nsw.gov.au/record=b3491525) editions of this map. Our copies are not yet digitised, but watch this space! Fantastic detail regarding the harbour, thanks for sharing!